Tennis is an individual sport and can be an emotionally draining sport for a little kid. Tennis can drive a young person to push through adversity and experience the personal growth that comes with these struggles. My brief tennis background has been a series of challenges where as I improved, I continued to face more and more challenges and ego bruising! As a 3 or 4 year old, I had a lot of energy and voluntarily hit on the side of the house on a small wall. I say voluntarily because a lot of kids at the moment don’t seem to want to play their sport but are encouraged into it by their parents. I put this down to the rise of social media, gaming and the internet along with a more structured and busy family life. For example, kids go to their weekly tennis lesson rather than ‘love playing tennis’. At this age, it was me against the wall. In fact, the biggest challenge was not hitting the window directly next to the wall. The wall was only perhaps 2.5 to 3 metres wide and I stood about 5 metres back. I broke multiple fly screens on the open windows but luckily no windows. As a 5 to 7 year old, I got used to the idea of hitting against the wall I would start playing pretend matches between 2 characters that I had made up. These characters has different styles and characteristics. They included hitting with one handed shots, two handed shots, hard hits and soft hits. I can’t remember all the details but I had full tournaments written down with different players winning at different times. Clearly my imagination didn’t let me down and I know I didn’t leave it all to chance with some slightly ‘rigged’ matches resulting in particular characters winning on different days. It was in this experimenting that I decided that the two handed both sides was the strongest character and hence what I used when I played tennis at the local club. As a 7 to 10 year old, I played competitively for my local club in the Adelaide Hills, Summertown. Thanks to all my years of repetition and experimenting, I didn’t lose very often, although this was a country competition with not many players and definitely not many players who had done years of training. As an under 10, I won my association tournaments and a couple of lower level tournaments/Easter tournaments and felt the boost to the ego that comes with winning and the feeling of importance. These were the glory years of connecting playing tennis with winning most of the time. The few times that I lost throughout this period I’m pretty sure I yelled, screamed, dropped my racquet and cried during and afterwards. I am the cocky little guy second from right. The other little guy on the far right ended up becoming one of Australia’s most successful table tennis players winning a silver medal at the 2006 Commonwealth Games, his name is William Henzel. In under 12’s we were encouraged to play the bigger points tournaments held at the biggest clubs in Adelaide. This was an eye opener and an example of going from being a big fish in a small pond to a small fish in a big pond. I didn’t win the tournament. In fact, I think I may have only won 1 match before getting destroyed by one of the top seeds. 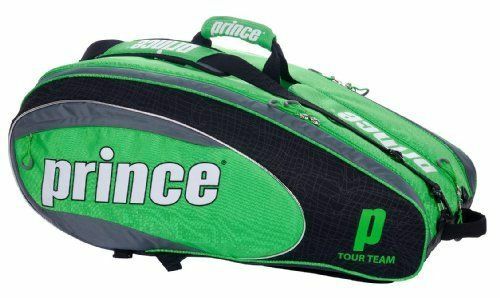 These top seeds seemed so good and not only did they serve harder, hit harder, miss less often, but they were also decked out in the latest tennis gear and had racquet bags the size of my parents’ suitcase. I was intimidated, clearly bruised from getting beaten easily but by the same token, inspired by the tennis scene and how good some of these guys were. The losses again consisted of painful emotions and a lot of crying. My parents were never pushy at all but I was self motivated with an ego to defend! The ego got battered around this time. 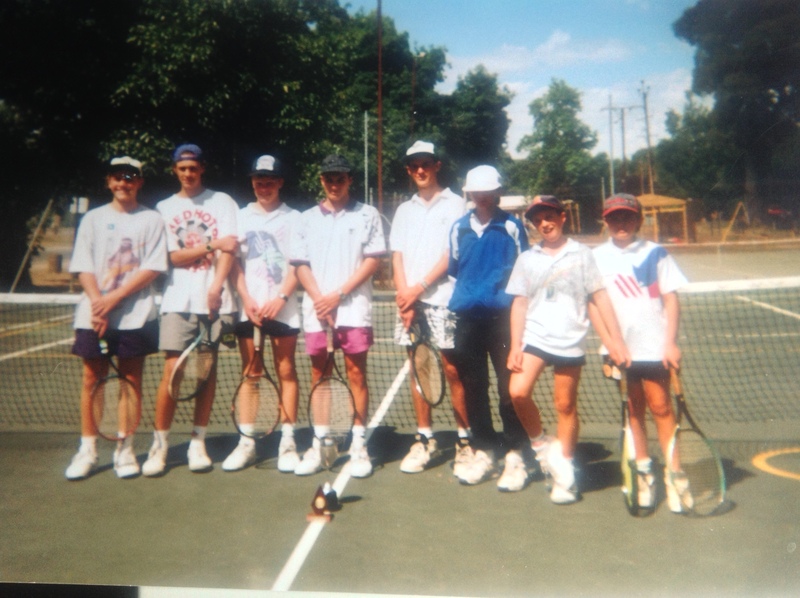 From what I had worked out, the South Australia 14 and under tennis scene consisted of 6 players who seemed untouchable. 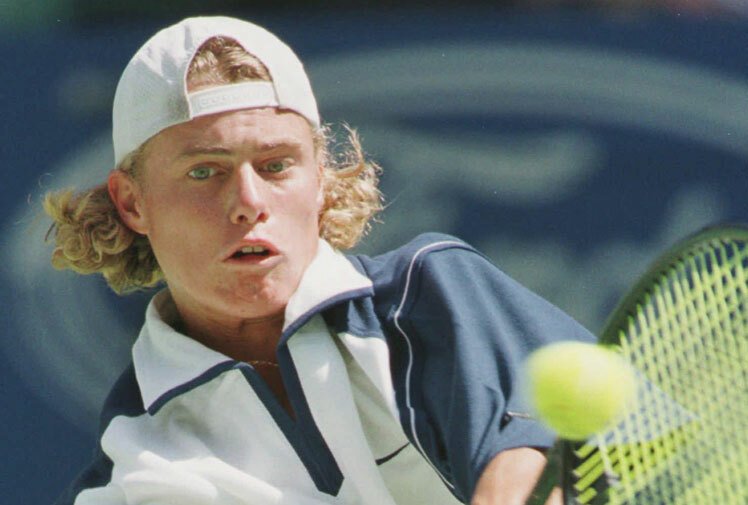 The number 1 in particular was more than untouchable and played in only the big tournaments in older age groups, his name was Lleyton Hewitt. The South Australian girls scene also had a dominant player called Alicia Molik so it’s safe to say there was some good talent around the city of churches at the time. The other 5 guys were also very good and I couldn’t really come close to them. However I realised there was a large B group of players consisting of around 12 more players who would make up the round of 16 results and perhaps a quarter final appearance at the bigger state tournaments. These guys were accessible and after finally having some private coaching from 12 years onwards, along with 2 or 3 weekly squad sessions, and hitting with my brothers and dad I improved. Eventually I found my way in this mix of guys which felt great to finally be seeded at the bigger state tournaments. This felt like a big accomplishment although it come at the cost of several warnings from referees about my racquet and verbal abuse. So the untouchables still remained untouchable but I had reached a level where I could at least qualify to enter a national junior championships. This was exciting and very intimidating. So my mum and dad drove me over to Melbourne to compete in the Nationals on the foreign clay courts. It was comforting to see the untouchables in SA were also high seeds at the nationals but I could also see there was a lot of very good players from around the country. However, this was my chance and the ranking points you get from these tournaments was huge. I lost 6-1 6-1 in the main draw and then played a guy from NZ in the feed in and lost 6-0 6-1. That was it, tournament over in probably around 1.5 hours total match time. My ego was bruised but at the same time I was inspired by seeing these amazing players. I was still a seasonal tennis player at this time, playing primarily football in winter and tennis in summer. All the best players were playing just tennis but this was a sacrifice I was never prepared to make. Luckily I went back for another crack at nationals months later and did a lot better. I was more determined and played a lot better although throwing away a 4-0 4-1 lead against a seeded player to lose 6-4 7-5. However, I had won more matches than I had lost at the tournament and this felt great. I also got some of those bigger ranking points which at the time was what life was all about. The adrenaline must of been running a little too high as after losing I threw my racquet over the fence into the banks of the Murray River at Mildura. Luckily I went to this nationals with a different family. After some decent success as a 14 year old, I had hit a flat spot in the sport. I couldn’t beat the untouchables and I had lost a few matches to guys I always used to beat. My unorthodox double handed both sides style started to become a weakness where the speed of the game pushing me to take an arm off to reach the wide balls. I had also discovered another a new form of adrenaline that wasn’t sport but could be broadly termed, being a teenager. Girls, parties and general adolescent behaviour become more regular than playing tennis tournaments and then at 15 I made my own decision to change to a one handed forehand. I was enjoying football more than tennis due to the strong team bonding and banter that came with football. The decision to change to a one handed forehand was a lot bigger than I had expected and I had never listened to any of the coaches before when they advised me to change to one hand. I started with intense lessons and drilling to help develop a one handed forehand. It was slow, painful and I couldn’t win the point off my forehand anymore. I was very close to quitting the sport, bitter that I couldn’t compete at the top with my one handed forehand but was like a beginner player with a one handed player. I then decided I will keep playing but not play many tournaments. This was just to protect the ego in case I got crushed by someone I should beat. I did develop a very good inside out backhand, which is still my best shot but running around every forehand to hit backhands was definitely a weird tactic and only delayed the development of my forehand. I had continued playing through u16s but in a limited capacity. I had changed schools for year 12 and for probably the one and only year of my schooling I studied relatively hard and did ok in my year 12 results. I had been accepted into University of South Australia but decided a gap year sounded like a lot more fun than more study. I decided to get back to playing tennis every day and had a few other guys who were planning on training for tournament tennis and also for a US College Scholarship. I thought that sounded appealing and although I hadn’t played tournaments for a while my forehand had got decent enough that I knew I would improve quickly over the year. So I worked in an apple orchard near my house for the morning and then trained tennis and fitness in the afternoon. I found a new coach who worked with performance players and enjoyed the year and got a lot better and fitter. I also received an offer of a full scholarship to a US College to start the following year. Thankfully the recruiters looked at my 14 year old results otherwise the scholarship may not have happened. I arrived knowing nobody at Belmont Abbey College in North Carolina. The whole thing was exciting to me but also it was hard to pack my bags, leave my very social circle and family behind. Mainly though I was worried I wouldn’t be up to scratch at college level. I had improved but limited playing throughout under 16’s had me not trust my form. I started at number 5 in the team which was about right level wise and after playing a couple of low ranked smaller schools in the pre season I was feeling confident with a couple of wins. Then we played a strong division 1 college in a practice match and I played a French guy who not only defeated me but crushed me in front of my new team. My ego was bruised. This was hard mainly because I was worried about not performing as a scholarship holder. All the team were on scholarships but this didn’t seem to make me feel at ease. After some tricky relations between my coach and myself I eased into the number 5 singles spot and ended up playing in the top doubles spot. Although there were still some beatings, I won 70% of my matches. After the year was over, there was some indecision over whether I was going to stay or head back to Australia. My tennis results were ok but my relationship with the coach wasn’t great and my back had developed a bulging disk. I decided to head home and go back to university in South Australia. After coming back to university in South Australia, I quickly realised that a degree in international business was not going to be enjoyable at all. I didn’t like the theory of the degree and made the decision to drop out of university after just a semester. I had started a part time tennis coaching and restringing business and this seemed like a fun way to earn money and be independent with my life. I decided that I didn’t really know how to coach tennis and took a job in Darwin working at a tennis centre where I would learn how to coach, run competitions along with saw off palm fronds around the centre. I played in their NT state league competition finishing 3rd in their player of the year but my focus was on coaching and not on playing anymore. I think what playing elite junior sport taught me was that to improve in something, you have to dedicate yourself to the cause. There are no free rides and to achieve success then you need to learn, learn, learn and earn your own success. I had always wanted to build up my own business and although I was hardly Richard Branson, I had always loved that he didn’t follow the traditional path of school but learned in the real world how to succeed. I tried everything out and continue to try different things to see what works. Call it hands on learning. I had however also taken small business courses along with read endless books on marketing, systems, customer service and other practical business books and workshops. I knew to succeed at business you needed to also treat it like you’re always working on your game. Try things out, work on your weaknesses as well as your strengths and be of service to your clients who give you the opportunity to run an enterprise. As a small business owner, it’s ironically very much like tennis. Lonely, hard physically and mentally and very rewarding and humbling. Similar to tennis, there are levels that you rise up only to be in intimidated and inspired at the same time. I have kept playing some club tennis through my mid twenties through to now nearly mid thirties. As a coach of tennis, there is mainly self enforced pressure to perform at a decent level when you play. I have still had slips in temperament and as my local club rose up from division 4 through to winning the division 1 premiership and then state league, there was the same intimidation and inspiration of playing people who are better than you. My preference now is to help others through my coaching rather than helping myself as a player. 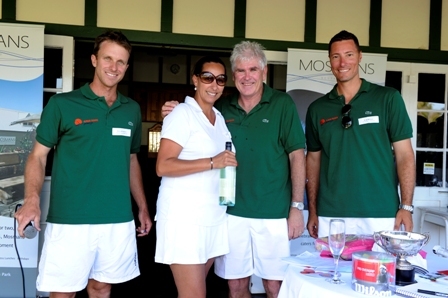 Tennis however will continue to help me push through the challenges in other areas of business and other personal goals. Should Coaches Yell at Their Players?